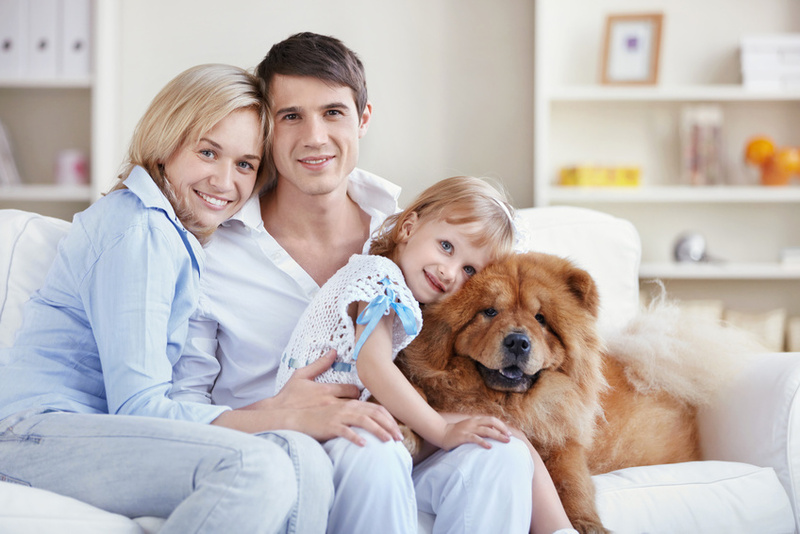 Our pets are often regarded and treated as family. Our furry best friends may get birthday and Christmas presents, go on family vacations, and be in family photos. However, practicing the right kind of pet care is important to keep your pet healthy and happy. Knowing a good animal hospital and veterinary clinic that you can rely on is great to have on hand should your pet get sick or need further medical attention. It’s also good to establish a rapport with your vet for routine check-ups — he or she will know how your pet normally behaves and be able to set a standard of care or recognize if something looks or feels off with your pet. Making sure your pet goes in for regular check-ups is an important part of good pet care and will also help keep them tick or worm-free, ensure that any ear infections or other common troubles are taken care of quickly, and that your pet is well-groomed and taken care of on a regular basis. How Many of Us Are Pet Owners? Just over 45 million households have a dog and a little under 40 million households have a cat. Many have both a dog and a cat and other pets, such as fish, hamsters, gerbils, iguanas, etc. There are over 375 million pets in the United States (and just 300 million humans), spread over 63% of households. This means that about 40% have more than one pet. Although owning pets can be expensive (the annual yearly cost to have a dog is a little over $1,100 and just under $800 for owning a cat), the joy, companionship, and amusement they bring is often well worth the costs for many families and individuals. Indeed, a study was conducted with 217 community members, and results showed a wealth of positive advantages for pet owners. They usually had better self-esteem, were in better shape, felt less lonely, were more conscientious and outgoing, and engaged in healthier relationships than those who did not have pets. So with all those advantages, how can we give back? The sad fact of the matter is that for as many pets are well cared for and loved, there are over 70 million feral and stray cats that roam the streets, says the Humane Society of the United States. And unfortunately, between 8-10 million pets wind up in shelters every year and only some have a no-kill policy. How Do We Practice Good Pet Care? Since our pets are solely under our care and protection, it’s important that we give them a good life. Visiting a vet hospital keeps your pets in good health and can alleviate many of your worries. Vets can offer suggestions for food (if your pet is overweight or underweight), exercise, and play. Cat and dog owners said that the top five services or products they used at veterinary facilities were physical exams, vaccinations, lab tests, acquiring drugs or medications, and getting flea or tick products. Taking your pet to the vet can also help keep periodontal disease at a minimum — it’s the most common clinical condition for adult dogs and cats and most have some form of it by the time they’re three years old. Be sure to spend time with your pet as well, apart from just walking, feeding, and maintaining its physical health. Pets, like humans, derive pleasure from being physically touched and spoken to, and otherwise interacted with. Petting and playing with your pet keeps it alert, engaged, and fosters a feeling of security and contentment with the pet. Socializing it with children and other animals also makes it friendlier, eliminating the risk of it being unsafe around other children or pets. Having pets can be an incredible joy. They’re adorable and bring happiness to many households and individuals, providing unconditional love and support. However, we also need to make sure that we’re doing our part to keep them happy and healthy while they’re in our care by practicing good pet care. And if you’re looking for a new pet, consider looking in a shelter to give an animal a new life.